There are many elements of critiquing overview that are involved in building safe and friendly Santa Clara public aquatic facilities. Whether it involves Swimming, Spas and or Wading pools these environments must satisfy the current codes and regulations inclusive of achieving a complete water volume turnover, every (6) six hours. In accomplishing this the sizes and capacities of the pumping, piping, filtration and sanitation need authentication per the manufacturer’s recommendations in order to gain approval. Together with providing adequate site provisions for restroom facilities that correspond to the overall swimming area’s intended bather loads. 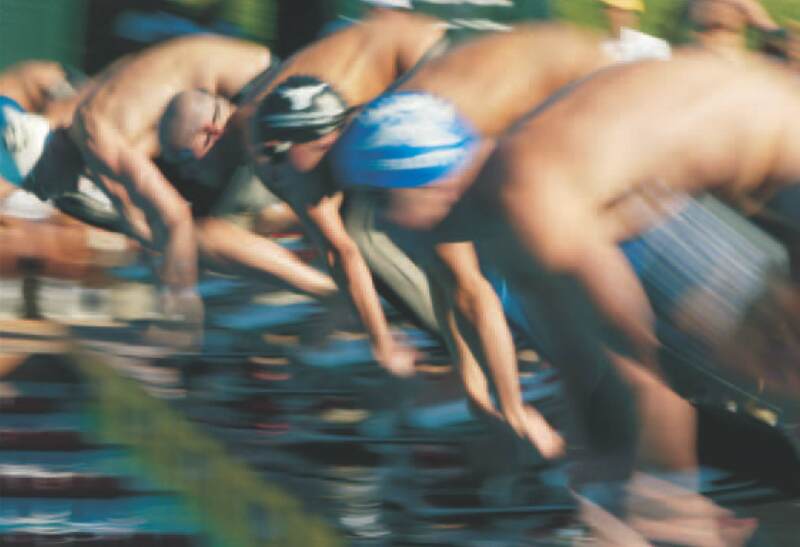 The flow characteristics must be calculated and shown on plan to be adequate, in order for officials to approve a pool’s public proposed usage. Commercial swimming pools must meet all the local Environmental Health Department’s regulations and guidelines for operational function and specific monitoring equipment must be in-place per building code guidelines. Safety Barrier Enclosures, Signage, Suction Devices, ADA Handicap Access Guidelines and many other design elements must exhibit compliant conformity in order to segway into a smooth and “practically affordable” pathway for achieving acceptance. In addition to accomplishing a well planned direction, plans must be able to be systematically executed in an efficient sequential production performance. A key element of success is producing “build-able plans” that can be effectively interpreted and efficiently executed by skilled craftsmen and knowledgeable trades people. Understanding the assemblies and corresponding operational functionality is a critical component for arriving at the planned destination, safe and friendly operations. 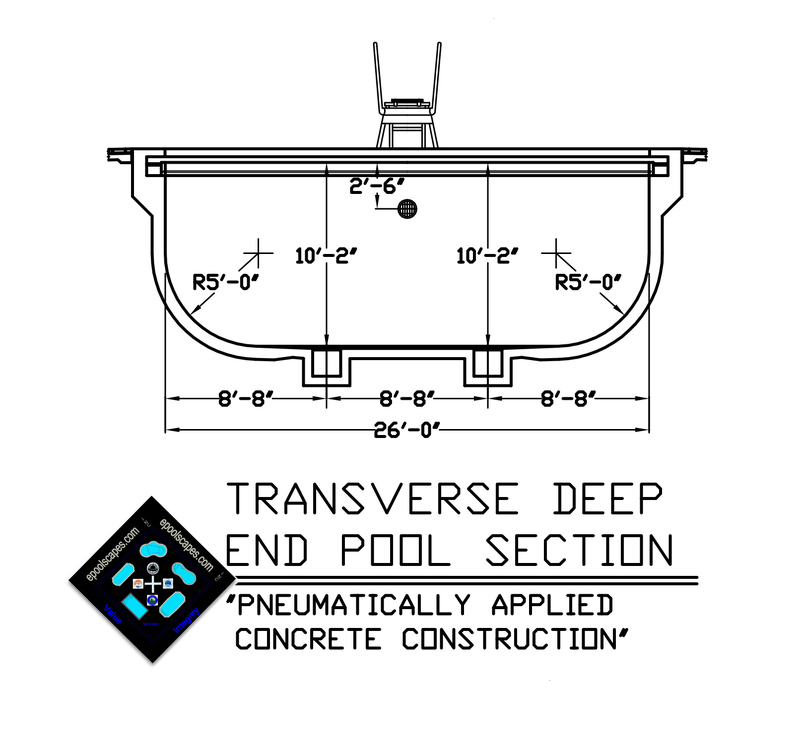 By viewing the links below you can gain greater insight for some of the prerequisites that are necessary in producing a set of compliant commercial swimming pool plans and specifications. On the mark, get set.....GO! As a Santa Clara design /consult / contractor we bring to the table of negotiation a full spectrum of AUTO-CAD capabilities for exhibiting compliant commercial Standards Construction Details and Specifications, together with the in-field experience for what a 1st class installation exemplifies. Our turnkey commercial installations provide our clients a higher level of accountability with regards to designing and building a project to budget. One reason for this key difference is that we build what we design. In doing so we can commit to creating a design that has a real construction budget, without surprises along the way…one, designer, one contractor, one complete package of responsibility. Few performers have the accredited credentials and in-house capability for a complete design / build package so, often commercial work is farmed out to drafts-persons who have never actually built, maintained and operated a commercial swimming pool. 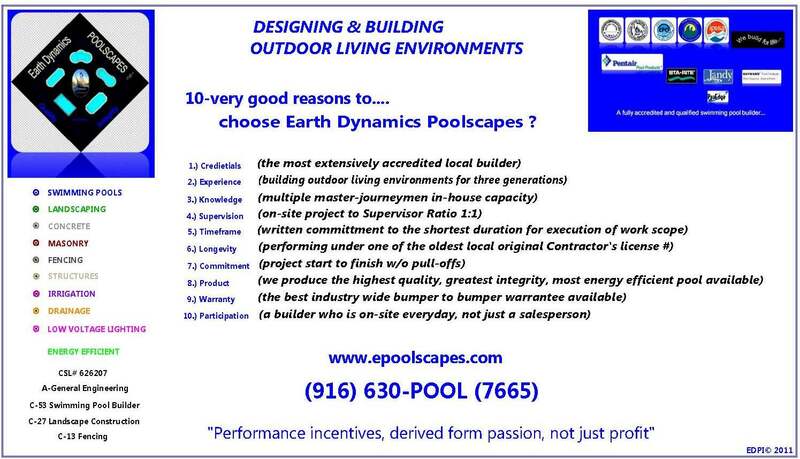 ePoolscapes has been designing, building, servicing, maintaining, repairing and operating commercial swimming pools worldwide for three generations and we truly understand how to project the most complete turnkey project possible on paper and in the dirt! 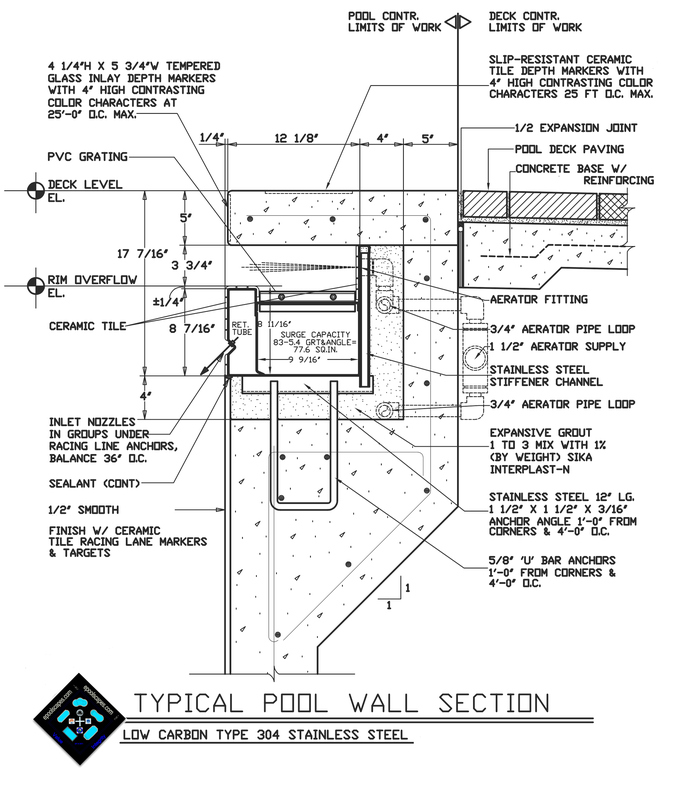 If you are soliciting design / build Santa Clara contracting firms for your commercial / public swimming pool please give us a call at (800) 766-5259 we would enjoy discussing your requirements.